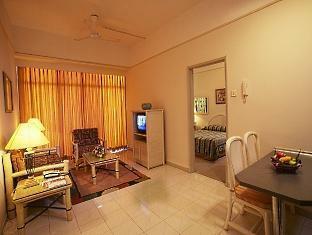 The Mahkota Hotel Melaka is a beautiful serviced apartment set in the very heart of Malacca city. Combining tradition with facilities this property offers the very best in comfort, service and hospitality. The 617 rooms and suites offer guests the choice of 1, 2 and 3-bedroom accommodation. The hotel is within a short walking distance of the various sightseeing and historical attractions of Malacca. For dining, a great variety of various choices including Italian, Asian and local favorites are available. This serviced apartment is situated on the waterfront close to Malacca's commercial hub and adjacent to Mahkota Parade, Malacca's premier shopping and entertainment complex.